Richmond Half Marathon | Run S.M.A.R.T. 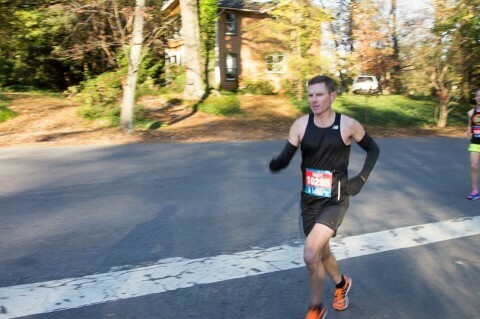 Greg Gilliam of Stafford, VA set five new PRs this fall after customizing an 18-week marathon plan. Gilliam’s main objective was to PR at Marine Corps so he was pleasantly surprised to see how much his new fitness helped him achieve personal bests across other distances as well. Scott Mersiowsky and coach Ann Alyanak continue to defy Father Time. 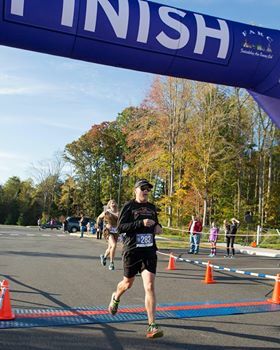 This past week at the Richmond Half Marathon Scott ran a lifetime best of 1:19:32 and finished 3rd in the 45-49 age group. [Full results] If you check out Scott’s Athlinks data you have to go back 13 years to 2002 to find his previous best for a half marathon (1:20:11). That’s incredible! The man turns 50 in January yet he’s still improving after 14 years of competitive running on the local masters circuit. This isn’t a guy who always ran but just started training seriously a few years ago. Scott has been trying to compete at the best of ability for well over a decade now. And he’s not just doing this in longer races, which is conventional wisdom for an older runner. If you look at 2002 he also ran 17:09 for 5k. Just a few weeks ago he ran 17:29 and his 5k time has continued to get faster this year too.